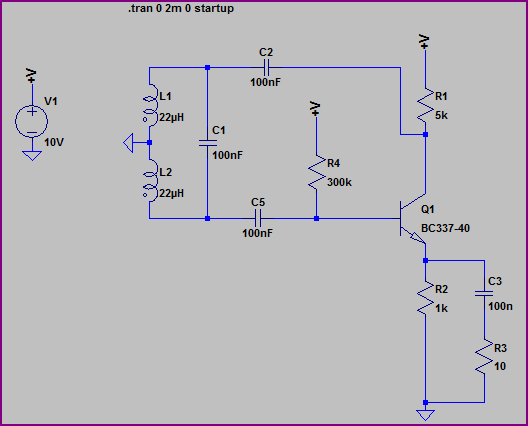 Can a Hartley Oscillator be built using Fixed Inductors? I've been playing around with fundamental circuits (no professional EE background), and became interested in oscillators. 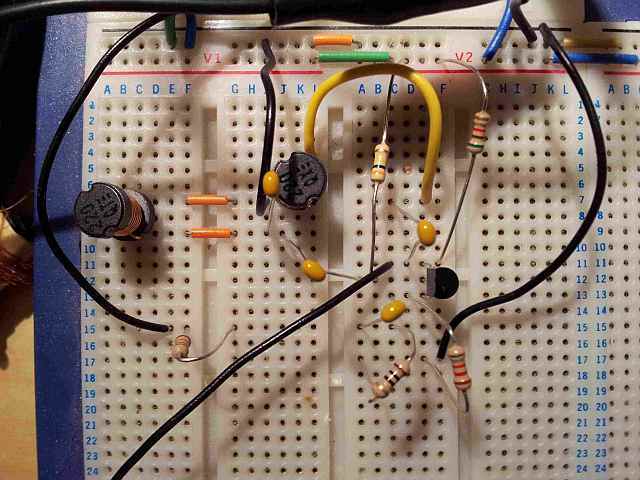 I have been trying to build the Hartley oscillator as described here. The document states that "an Hartley Oscillator circuit can be made from [...] a pair of series connected coils [...]". I had a couple of 22mH fixed inductors, which I hooked up on a breadboard with the other needed pieces. 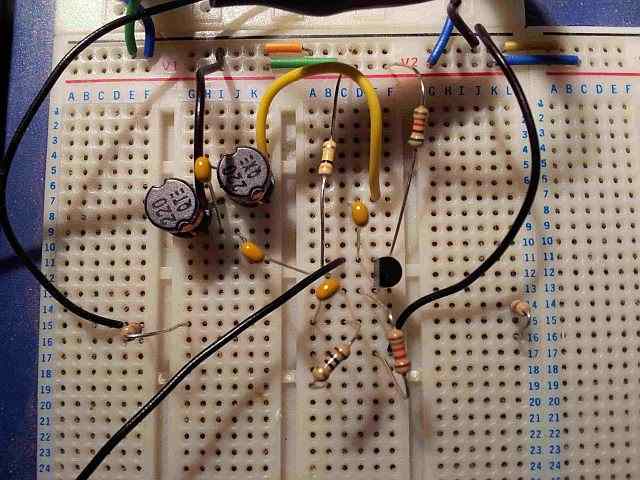 When I test the transistor amplifier independently, it seems to be working. However, there is no sign of oscillation in this circuit. So my ignorant question is, can I use the fixed inductors indicated? I saw mention of the notion of 'mutual inductance', and I'm not sure you can get such with these discrete components. 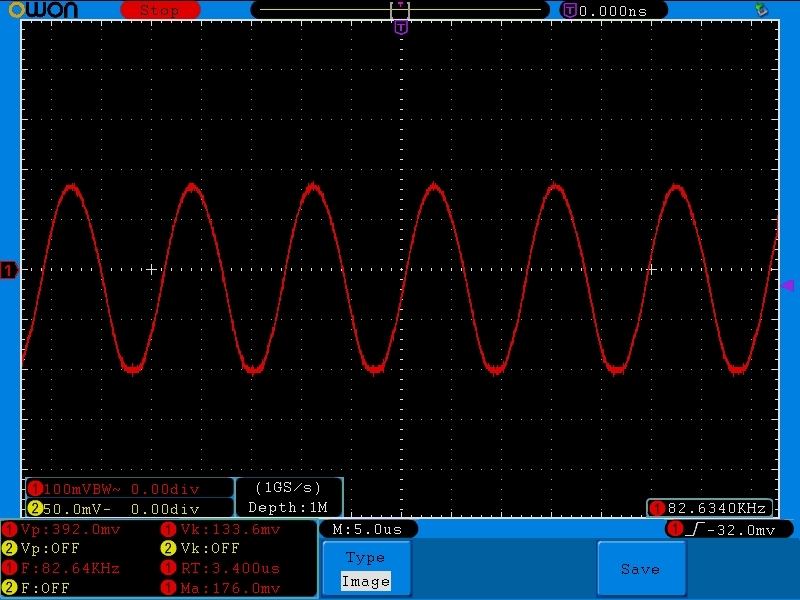 My friends and I started out by copying Oli's quick circuit, and were gratified to get a crisp sinusoid waveform. Thanks, Oli! However, I clearly still have a long way to go, as when we attempted to change the frequency of the circuit we were mimicking, we got zero oscillation. And the original Hartley circuit remains stubborn. I've bought a couple of used books and will be working through them with an eye to getting the original circuit (among others) working. Although it's often shown as one inductor with a tap taken off somehwere, you can use two separate inductors for a Hartley oscillator. You don't have to use the RFC choke shown, you can still use a resistor at the collector. The feedback of the tuned tank circuit is taken from the centre tap of the inductor coil or even two separate coils in series which are in parallel with a variable capacitor, C as shown. In this case "coil" is just a synonym for "inductor". Note, though, that the circuit does depend on magnetic coupling between the coils. You won't want to use "shielded" inductors for this, and you may need to experiment with the physical arrangement of your two separate inductors to get it to work. Not the answer you're looking for? Browse other questions tagged oscillator inductor or ask your own question.